During a time of year when many share in acts of guidance, mutuality and charity, the CIW and AFF are inviting the Fair Food Nation to come together and share in acts of justice! 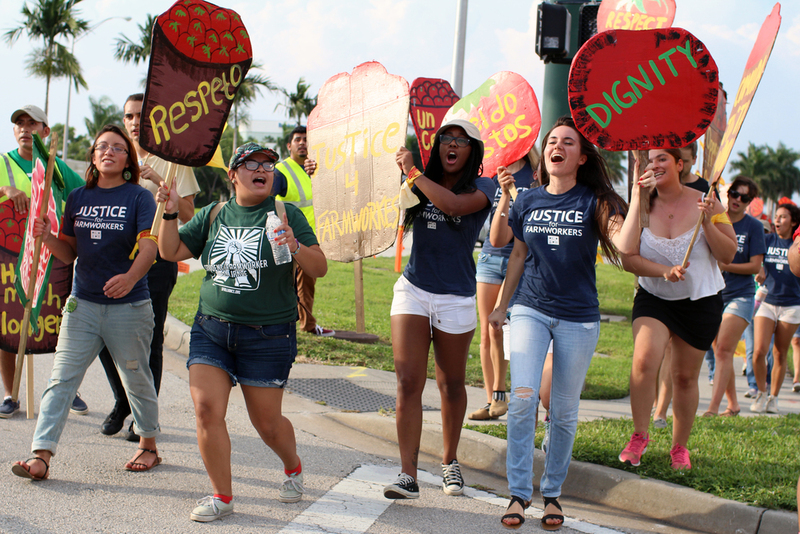 On Saturday, Nov. 21, students, young people and communities across the country are "Uniting for Fair Food" in a National Day of Action to demand Wendy’s and Publix to move beyond charity and to commit to human rights for farmworkers and their families. We actions confirmed from Miami to Nashville and everywhere in between – and counting! Check out the list below to join an action happening near you. There is still time to join in on the action, get in touch with us at organize@sfalliance.org or by phone at 239-657-8311 to find out how to organize your own.